Since I joined the high-tech industry years ago, Silicon Valley has had a fundamental need for highly educated engineers and scientists that could not be filled by American graduates. This reality has been bemoaned by Congressional politicians for decades now, who have essentially done nothing to increase the emphasis on STEM education (science, technology, engineering, and math) for resident Americans, and who instead chose to provide the H1-B Visa enabling Silicon Valley high-tech companies to employ immigrants to fill these crucial positions, and has enabled the high-tech industry to thrive. In my own group at Intel years ago, one of my closest colleagues was a Canadian math graduate from McGill and a Harvard MBA with an H1-B visa. Today, Silicon Valley is now notable for its multicultural diversity. The election of Donald Trump has raised very real fears in Silicon Valley. His platform is almost completely devoid of any acknowledgment of the crucial importance of high-tech innovation to U.S. productivity and economic growth, the need for H1-B immigrants and the parallel need for greater investment in STEM education. But then Trump is on record calling computers “a mixed bag” and thinks people should wean themselves off the internet. Trump is also said not to have basic computer skills, beyond the use of his Twitter account. Supporters of Trump prior to the election were few and far between. 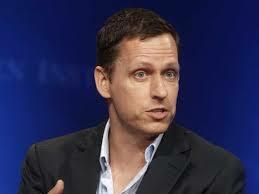 Peter Thiel, a venture capitalist, former founder of PayPal, and a gay man, is perhaps the single most visible Trump supporter in the Valley. Tim Cook, CEO of Apple, did hold a private Silicon Valley fundraiser for Paul Ryan during the election, but otherwise, his support has been publicly tepid at best, as Trump has lashed out vigorously at Apple’s overseas manufacturing. Meg Whitman, CEO of Hewlett-Packard and a host of other Silicon Valley luminaries were outspoken supporters of Hilary Clinton. There are indications of a tenuous thaw from some in Silicon Valley but where will it lead? What Will Happen to the H1-B Visa and Investment In STEM? Across the technology industry, the reaction to Donald J. Trump’s election to the presidency was beyond grim. There was a sense that the industry had missed something fundamental about the fears and motivations of the people who use its products and that the miscalculation would cost the industry, and the world, greatly. Others were more succinct in their devastation. “I’m heartbroken,” said Stewart Butterfield, co-founder of the corporate messaging service Slack. For some, buried in the visceral reaction was also a realization that the tech industry’s relationship with government — not to mention the public — looks bound to shift in a fundamental way. During the Obama years, Silicon Valley came to see itself as the economic and social engine of a new digital century. Smartphones and social networks became as important to world business as oil and the automobile, and Amazon, Apple, Facebook, Google and Microsoft rose to become some of the most prosperous and valuable companies on the planet. Mr. Obama, who rode many of these digital tools to the presidency, was accommodative of their rise; his administration broadly deferred to the tech industry in a way that bordered on coziness, and many of his former lieutenants have decamped to positions in tech. Mr. Trump’s win promises to rip apart that relationship. The incoming president had few kind words for tech giants during the interminable campaign that led to his victory. Mr. Trump promised to initiate antitrust actions against Amazon, repeatedly vowed to force Apple to make its products in the United States, and then called for a boycott of the company when it challenged the government’s order to unlock a terrorist’s iPhone. Mr. Trump’s immigration plans are anathema to just about every company in tech. Amazon, Apple, Facebook, Google and Microsoft offered no immediate comment about Mr. Trump’s win, or how the new administration’s stated policy goals would affect their businesses. But it seems clear that a shift is in the offing. Leaders of these behemoths have long spoken in ambitious, gauzy sentimentalities about a broadly progressive future. Their goals weren’t simply financial but, they said, philosophical and democratic — they wanted to make money, sure, but they also wanted to make the world a better place, to offer a kind of social justice through code. Theirs was a tomorrow powered by software instead of factories, and offering a kind of radical connectivity that they promised would lead to widespread peace and prosperity. In private, during the campaign, many tech leaders were positive that their vision would prevail over Mr. Trump’s. When asked about whether they were preparing in any way for a Trump victory, bigwigs at many of the industry’s leading tech and financial firms were bemused by the notion. They thought it would never happen. The deeper worry is that tech is out of step with the national and global mood, and failed to recognize the social and economic anxieties roiling the nation — many of them hastened by the products the industry devises. Among techies, there is now widespread concern that Facebook and Twitter have hastened the decline of journalism and the irrelevance of facts. Social networks seem also to have contributed to a rise in the kind of trolling, racism and misogyny that characterized so much of Mr. Trump’s campaign. And then you get to the economic problems. Unlike previous economic miracles, the tech boom has not led to widespread employment. Much of the wealth generated by the five biggest American tech companies flows to young liberals in California and the Pacific Northwest, exactly the sort of “global elites” Mr. Trump railed against in his campaign. It’s not clear that most Americans see technological progress as the unalloyed good that it is considered in Silicon Valley. Technology has pushed so deeply into people’s lives, changing how they work and go to school and raise their children, that it could well raise more fears than hopes. A new smartphone is nice, but perhaps not if it means that your trucking job will be replaced by a big rig that drives itself. “We need to figure out how to connect more Americans to the economic engine of technology,” said John Lilly, a partner at the venture capital firm Greylock Partners. On Wednesday, some in Silicon Valley worried about their disconnection from the mass of voters who chose Mr. Trump. Still, some people in tech said that despite their heartache over the outcome, they felt renewed inspiration to take bolder action to realize their progressive visions. Some made very big, idealistic proposals — this being, after all, the land of disruption. On Twitter, for instance, Mr. Pishevar said he would fund a campaign to get California to secede from the nation. Others weren’t as high-flying but were nevertheless resolute. Aaron Levie, the chief executive of Box, an online document storage company, suggested that the tech industry promote specific policy issues. Mark Suster, a venture capitalist at Upfront Ventures, echoed the idea.